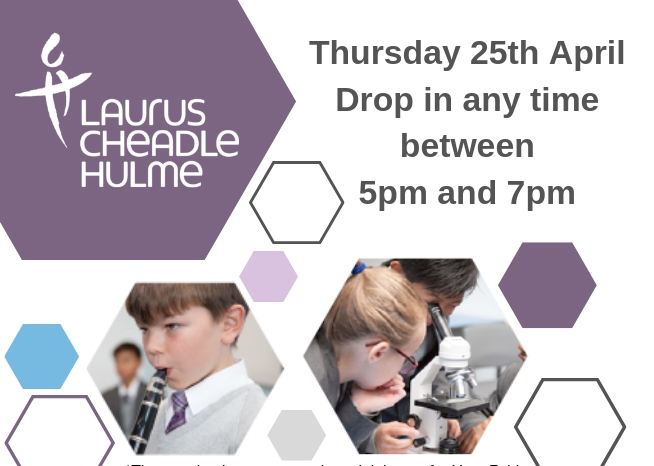 Future students and their families are invited to tour Laurus Cheadle Hulme’s fantastic new school building and meet members of our teaching staff on Thursday, April 25th. This is a drop-in event and runs from 5-7pm. It is open to all the new students who will be joining us for Year 7 this coming September and we also welcome current Year 5 pupils and their parents/carers who will be selecting their secondary school in the next few months. Our current Year 7s recently moved into their new permanent home following the completion of building works. Our staff and students are delighted with the state-of-the-art facilities and are looking forward to showing them off. For further information, please contact the school on 0161 507 5300 during term time.